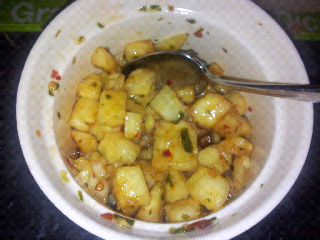 Gordon Ramsay's pineapple salsa with ham salad for lunch. Sounds odd but strangely tasty. Will post recipe later - it's from Gordon's Greatest Hits.